Music. Love won, lost, regained. Festivals. Tours. Legends. Welcome to Voices. Legendary rock and roll singer/songwriter Tom Timoreaux, who like many began during San Francisco’s epochal Summer of Love, emerges from a long retirement with his band, The Fever. When his backup singer cannot tour, he brings on his estranged daughter, Christine. As they sing together and heal their relationship, The Fever tours to national acclaim—and Christine becomes a star. Meanwhile, in Italy, Tom’s long-lost “love child,” Annalisa, views a Fever concert streamcast and must decide whether to reach out to a man she thought dead. Voices is a father-daughter-daughter relationship journey set against a half-century of rock and roll, where love and healing are always possible and music speaks louder than words. Order your paperback or e-book copy today! "Voices speaks volumes to the importance of the relationship between fathers and daughters. . . . The tour that Yehling presents in Voices will no doubt take music lovers through the past as they journey through decades of rock and roll and pop music in America." "The memories, the allusion to real rock performers, the music of the day, the times and the heartfulness of human relationships, all make Voices a magical tour. If you are a music lover, you’ll love it. Nostalgic and warm, it is also raw and real. An enjoyable book. I highly recommend Voices!" "In his paean to the rock-and-roll era, Yehling has crafted a vision of an idealistic band—no doubt based on musicians he has worked with—which preserves this period’s original fervor for music emblematic of a great generation. 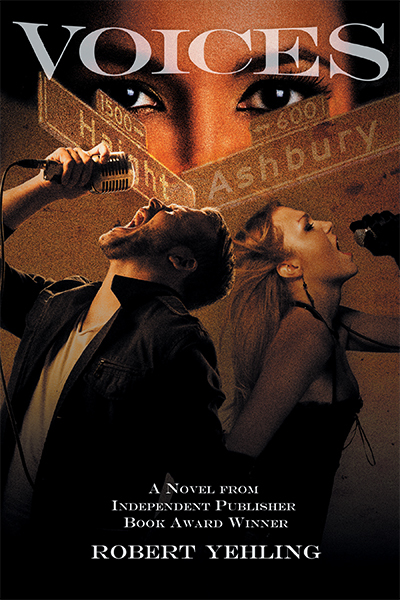 Rock fans who know the tunes and bands mentioned throughout the story will love this book." "Voices is the story of a father’s love and self-discovery. It also has many references to situations in rock and roll history that may be true—the interweaving of fiction with real references adds many intriguing layers. Robert Yehling is a master storyteller and he’ll transport you, heart and soul, to poignant times in history, and in a rock star’s life, that make him the man he is." Robert Yehling is the author of numerous books, including The Champion’s Way, When We Were The Boys, and Writes of Life, which won the Independent Publisher Book Award, and Just Add Water, nominated for the Dolly Gray Literature Award. The former editor of American Idol Magazine and a long-time music writer and reviewer, he edits publications for the Billboard Music Awards and American Music Awards. He lives in Southern California. All contents Copyright © 2018 Open Books Press and Pen & Publish, Inc.